Android Lollipop is being highly praised for its Material Design and its not without good reason. But you’re likely to get your hands on it only sometime later this month and even then, only if you are going for a Nexus 6. If not, Lollipop is long way away. But that doesn’t mean you have to sit and rue your fortunes. Thanks to app developer Harsh Singhvi, you can pick up some amazing Material wallpapers for free with his Material Wallpapers App (Android L) app. Some of these stunning wallpapers are the official wallpapers on the Nexus 6. You can add them to your Android device irrespective of the resolution as they follow the principle of the Material design. That said, the app has problems working on cyanogenmod 11s, particularly the OnePlus One models. At the moment, the issues are being looked upon, but for everyone else who is eager to check out some of the most stunning wallpapers ever, this app is a definite must have. Oh, and if you’re attempting to use this on your Android tablet, sorry, it’s a no-go at the moment. There are 30 wallpapers in all and once you download the app, all you need to do is just open it up, scroll through the various wallpapers, select one and hit Set as Wallpaper to activate it. 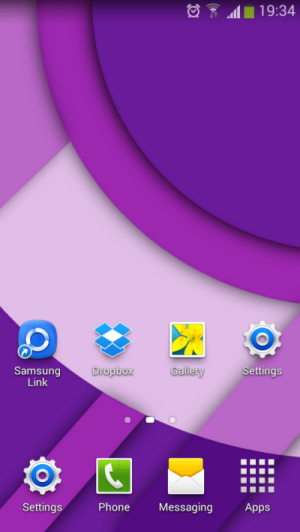 If you own a Samsung device, you can also set it as a lock screen wallpaper. In order to do this, you must first set a live wallpaper on your home screen and lock screen. Then you can select a material wallpaper from the app. However, you cannot set two different wallpapers for both the home screen and lock screen. Only one wallpaper will adorn both the screens. Material Wallpapers (Android L) is available on the Play Store for free. Be sure to check it out.